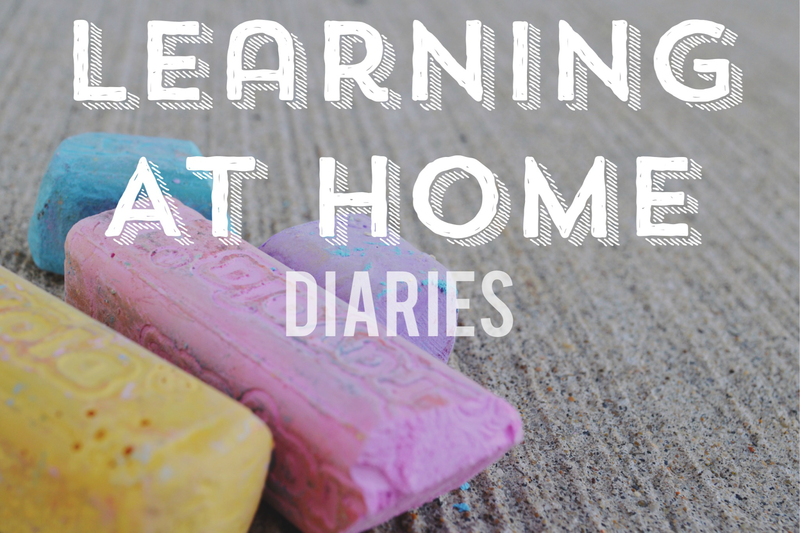 This series is my open diary about trying to teach my children at home. I'll share all our learning activities - whether they fail or are a huge success. Some of these activities are made up - Some of these activities are adapted from Pinterest finds. I'm not a very patient person. 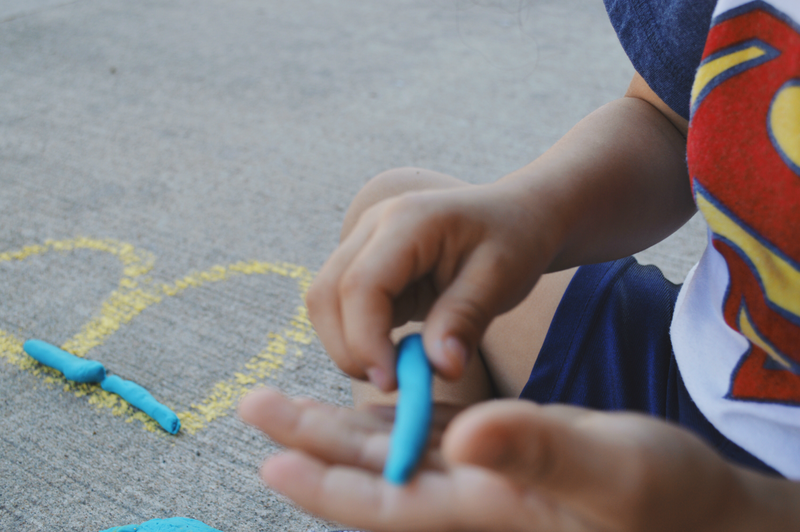 I've found that it's easier to find activities for my children to do, such as painting, building blocks, sorting items, etc. instead of teaching them in a more standard way. 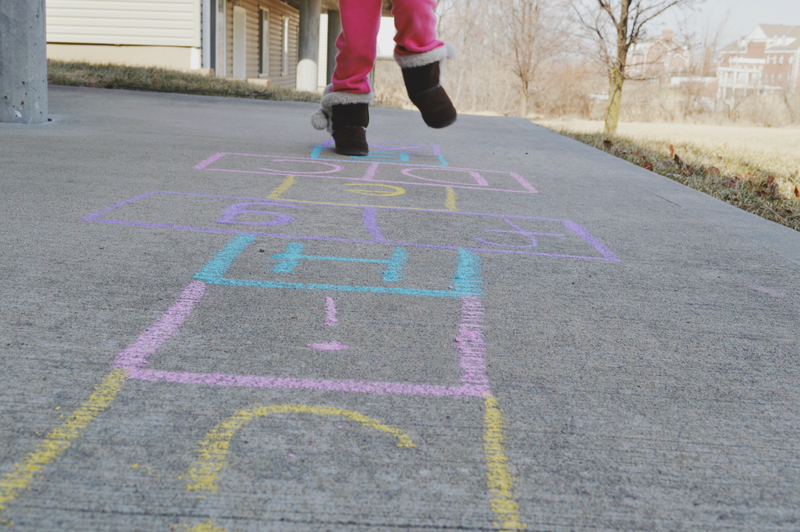 So - now that the weather is starting to warm up outside I'm trying to find fun learning activities outside. We are starting off with something simple. For the past couple of weeks we have been focusing on our letters - recognizing, writing, and capitalization of each letter. 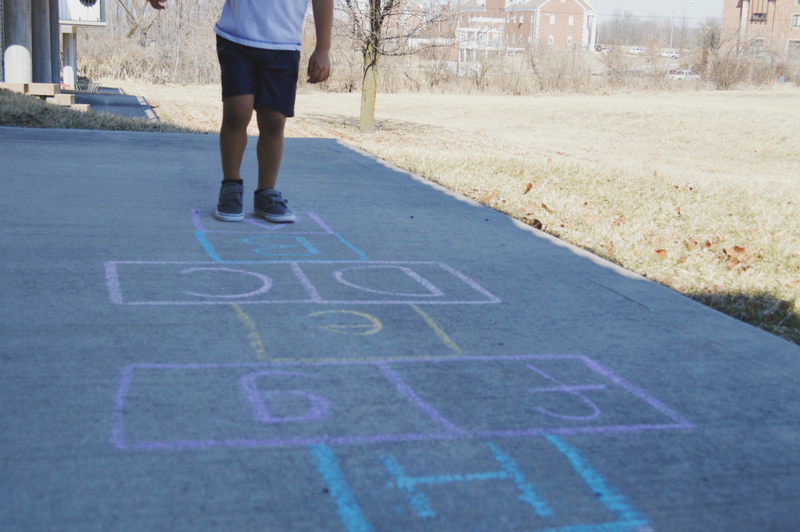 So, I decided to put letters where the numbers are usually placed in hopscotch. 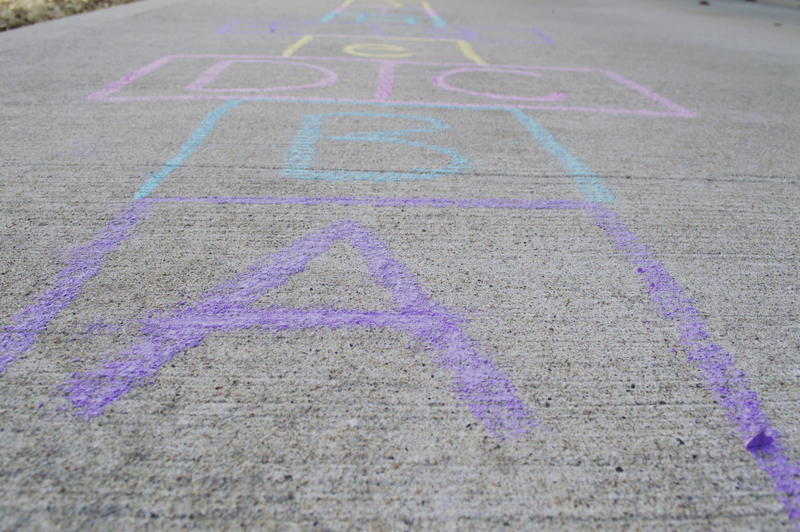 The children will recite each letter, whether it's lower cased or upper cased, before hopping to the square(s). If they get the letter wrong - they simply start over. For a Monday after daylight savings time - it seems appropriate. We are getting some fresh air and exercising while practicing our letters. 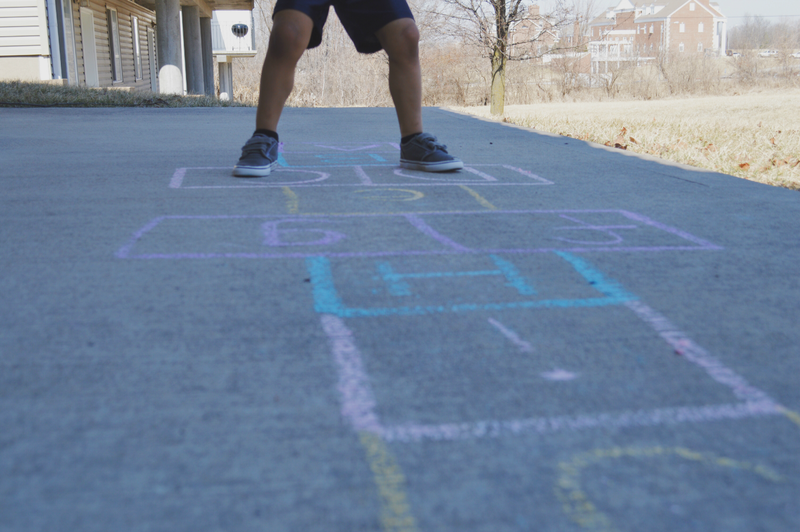 Yesterday's hopscotch activity was a success. The kids did a great job at identifying the capitalization of each letter - they understand the difference between a lower cased letter and an upper cased letter. Now - We still need to work on identifying each letter. So, that is the plan for today. We'll be heading outside again for this activity. 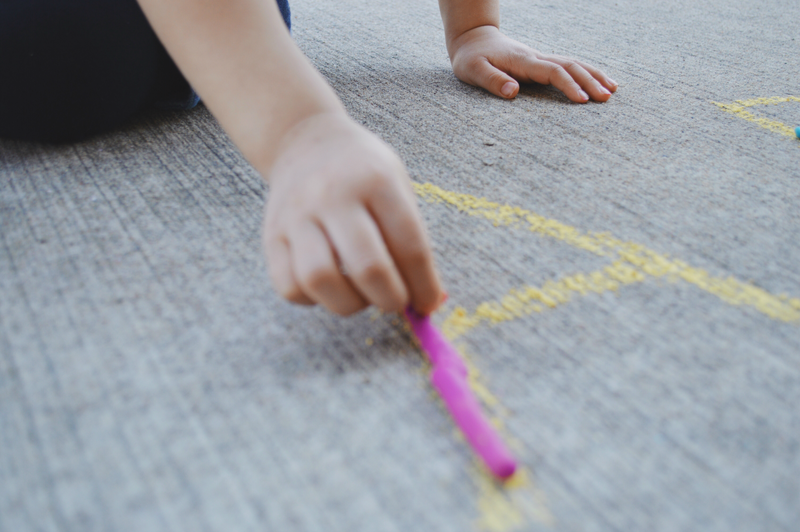 I'm going to pull out the play dough - I'll write letters along the sidewalk so the kids can roll up the play dough in order to build each letter. Hopefully this is a fun new way for them to see each letter. 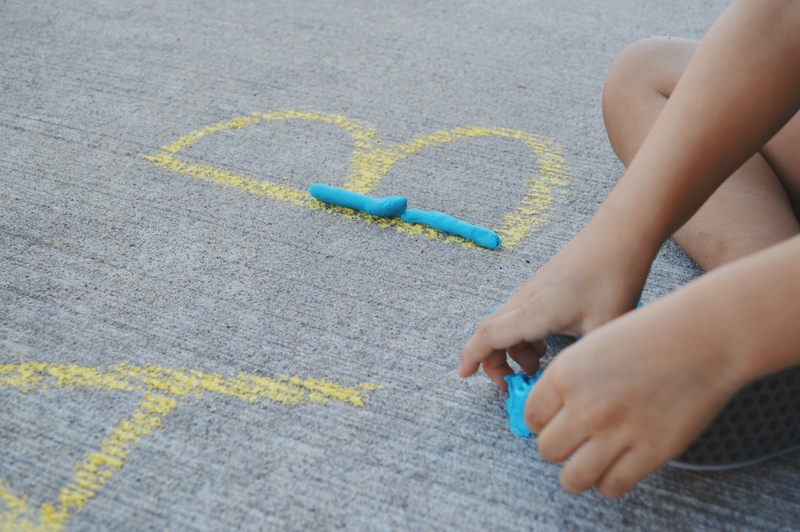 I have come to the conclusion that children love anything that has to do with play dough. Our activity yesterday was a huge success with the kids. They were calm and didn't get bored - which usually happens after awhile with these kids. Today - We kept it simple. 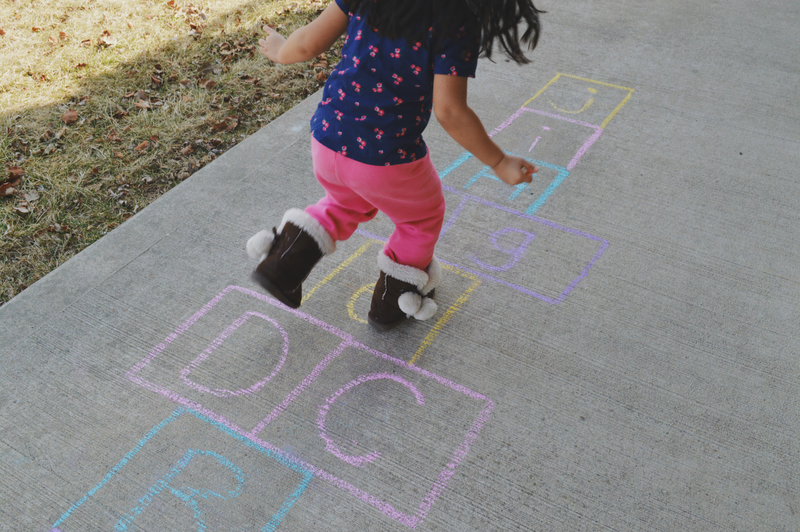 The kids practiced writing their letters with chalk outside - and our hopscotch was still going strong, so we practiced with that activity again. 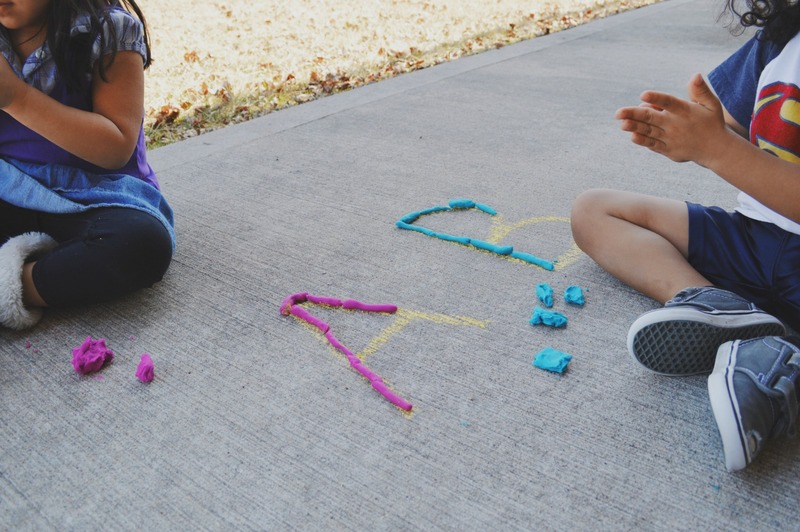 The kids wanted to build more letters with play dough again, so we did that also. Tomorrow - we'll find a new activity, but for today it was nice to see them so confident while practicing their letters. 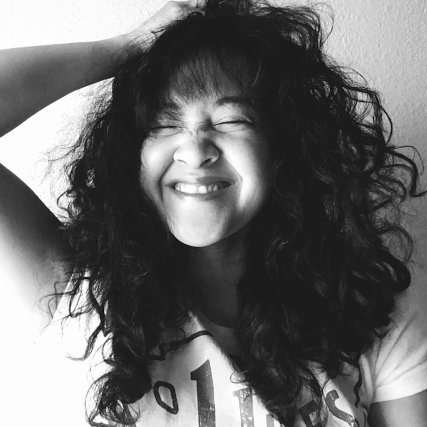 Today, I plan on doing an activity a bit more fun for the kids. They've been enjoying our special activities this whole week, but since the week is almost over I thought I would find a fun game for us to play. I saw this idea on Pinterest this morning, here. So - we are going to play BINGO with our letters! 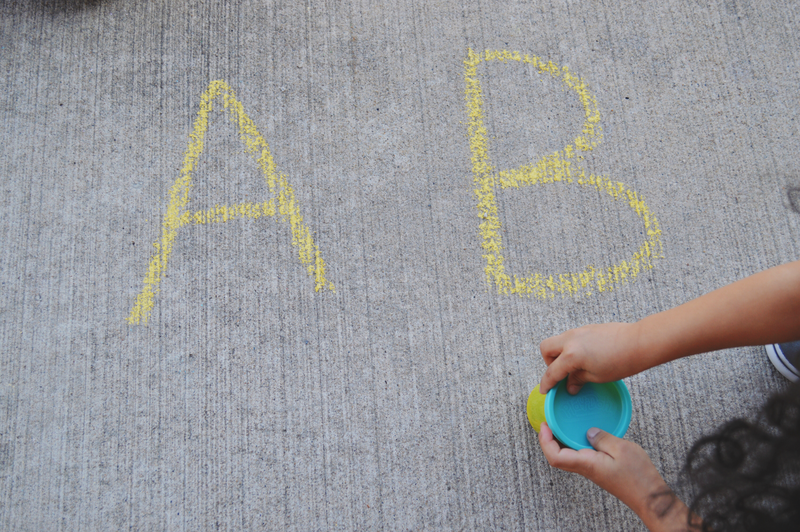 We'll play a few rounds and head outside to work on the other activities from earlier this week as well - those activities have seemed to really help the kids with all their letters. To wrap up our week of letter learning - we're going to practice writing them with a fun activity. I saw this idea on Pinterest, here. I wrote each letter out in lines on construction paper. The kids are going to take their q-tips, dipped in paint, and trace over each letter. 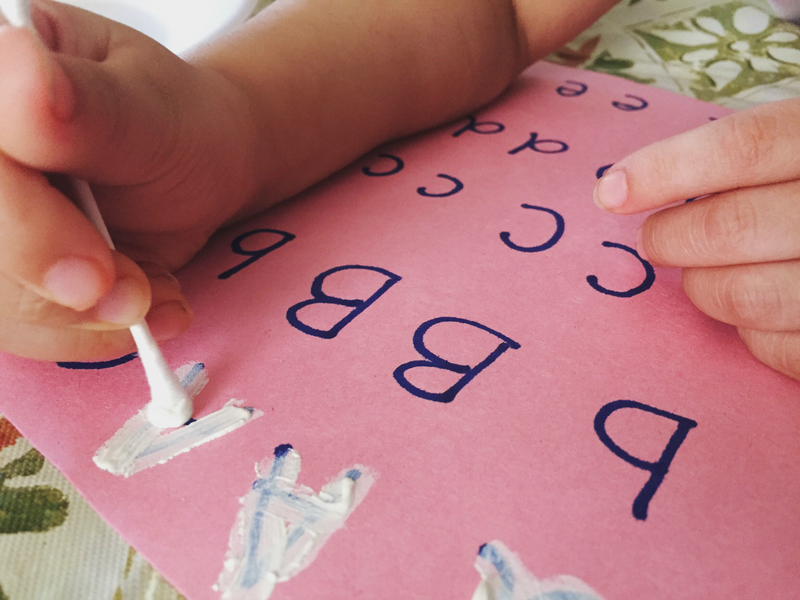 I think it'll help them with letter recognition a little bit more, as well as learning how to write each letter - both upper cased and lower cased.. & these kids love anything that has to do with paint!